This page contains a list of consulting business ideas some of which are most popular with the current generation of professionals. Some of the consulting businesses require a lot of experience before embarking on them while others don't. To start you off, can you be a growth coach? A growth coach is a person who helps small business owners, managers, self-employed professionals, and salespeople gain clarity of direction, develop goals and action plans, achieve greater success, and add balance to their lives. The coach helps clients discover how to work smarter, how to establish structures and systems that will enhance the growth of their business. Do you have experience in business systems? Then all you need is passion and desire to help others succeed in their businesses and then develop an extensive training and support program for your clients. Never worry too much about whether you will succeed. Once you are doing something you know and love, success comes in equal measures. 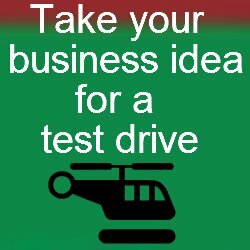 Here is a list of consulting business ideas that can help you decide what you would want to practice.